MILLEDGEVILLE, Ga. ­– Sponsored by the Milledgeville Baldwin Co. Convention & Visitors Bureau and the Milledgeville Players, the 18th Annual Haunted Trolley Tour will be held on Oct. 20th, Oct. 22nd, and Oct. 23rd at 6:30 pm and 8:30 pm as well as Oct. 24th and 25th at 7:00 pm and 8:30 pm. Both shows will be held in the Memory Hill Cemetery. 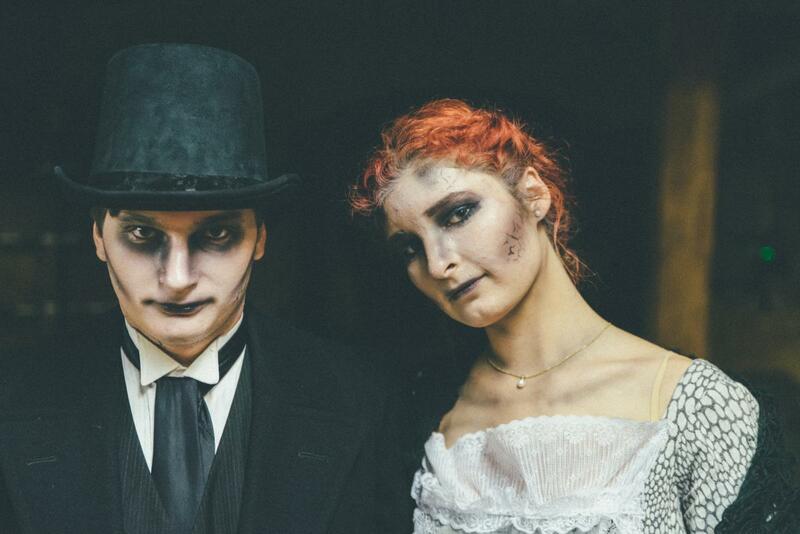 The Haunted Trolley is a long standing Milledgeville tradition in October and is recognized today as one of the most unique and entertaining events of the year. All ghost tours are based on documented legends and folklore passed down for the last 150 years which makes it all the spookier. 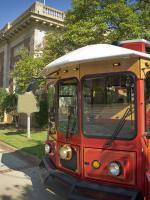 If you are ready for fun, laughter, and fear, then take a ride on Milledgeville’s Haunted Trolley Tour! “As we anticipate our 18th anniversary of the Haunted Trolley Tour, we are both excited and grateful, for not only the interest from our area, but from surrounding cities and other states, as well! We see this as an opportunity to offer a fun activity each year that continues growing in popularity and welcomes visitors from both near and far. We look forward to seeing some familiar faces this year, but, we also can’t wait to meet some new visitors to our community!” said Visitor Services Manager Lori Johnsen. For more information and ticket purchase, please contact the Milledgeville-Baldwin Convention and Visitor Bureau at 478-452-4687 or visit us at www.visitmilledgeville.org. The CVB office is located at 200 West Hancock Street and is open Monday through Friday, 9 am to 5 pm and Saturday, 10 am to 4 pm.